Is this the type of deep tissue massage you’ve been looking for? Do you always leave a massage wishing your practitioner had given a deeper treatment? Is your current deep tissue massage treatment not getting your desired results? Do you wish someone could just pin your pain with deep pressure for long periods of time? In chronic cases, pain can be deeply engrained within the body. When left untreated, these areas of bound of solidified tension can become very stubborn. 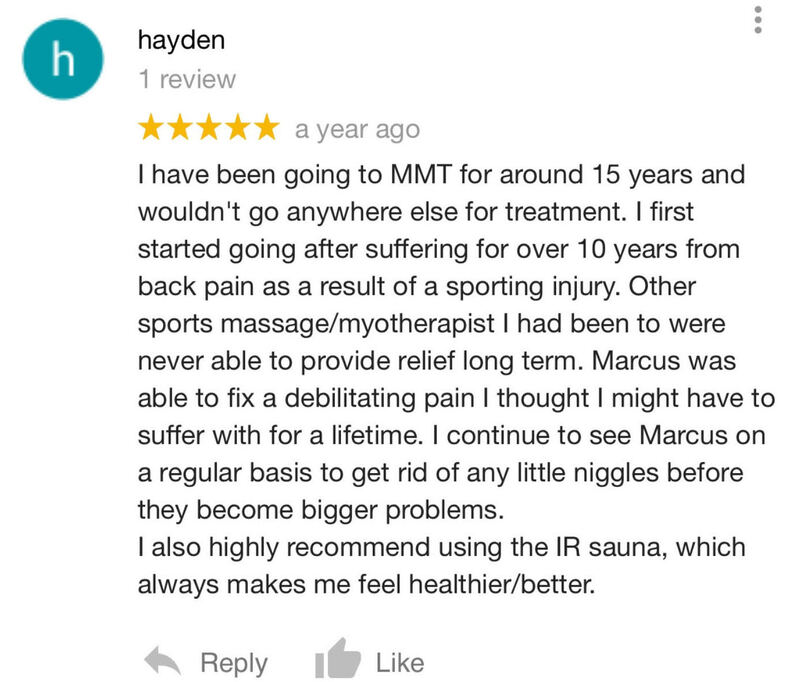 These are the cases where our signature Solidified Connective Tissue Release Deep Tissue Massage techniques are proven to be supremely effective. SCT Release is delivered with such precision, strength, and depth, which allow us access to these deep restrictions. 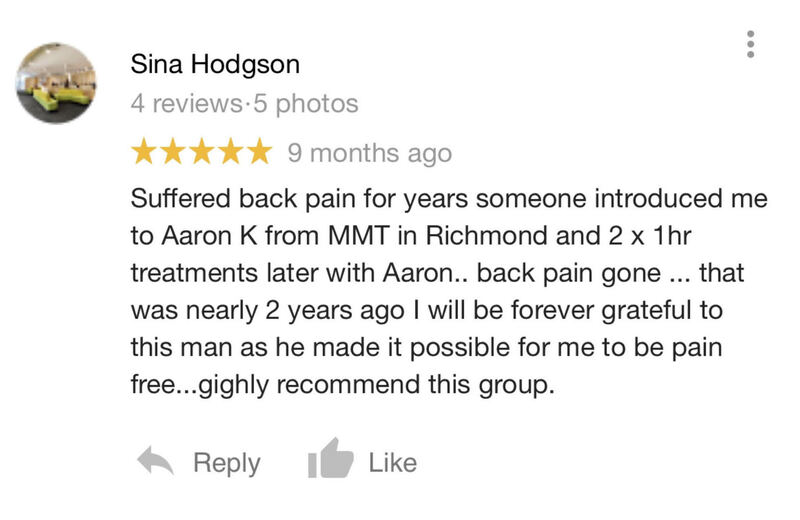 Practitioners at Melbourne Muscular Therapies are highly skilled and trained to pin these areas with such significant depth for long periods of time. Occasionally, these areas will be up to 20 minutes of constant sustained deep pressure until they are released. 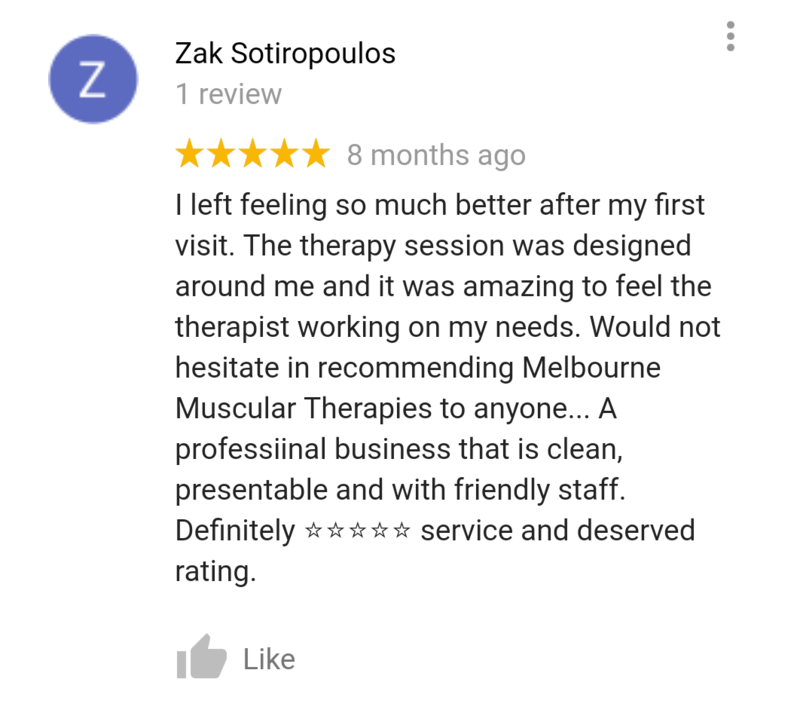 We can guarantee that you will never leave a treatment at Melbourne Muscular Therapies wishing we had reached a deeper level of treatment. Levels of Muscular tension, active trigger points, adhesive/dehydrated fascia, stress levels, stress response, hydration, and emotional/mental state all play roles in ‘Why Deep Tissue Massage Hurts’. Deep Tissue Massage is treatment to the deepest layers of muscle and fascia, therefore, pressure must penetrate through superficial tissues before it reaches its ideal level. This is why massage can sometimes be painful. Our professional practitioners are Deep Tissue Massage experts. They will assess your posture/movement, investigate the underlying cause of your pain/dysfunction, deliver amazing deep tissue massage techniques to areas of need, and formulate a home strengthening program in order to relieve your of your symptoms and pain.